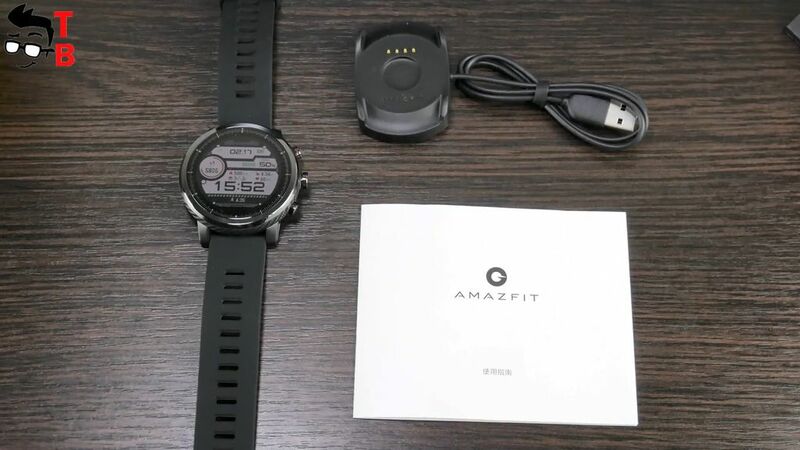 At the end of 2017, the most popular Chinese manufacturer Xiaomi and its partner Amazfit released the second generation of smartwatch called Huami Amazfit 2. It was a Christmas present for many sportsmen and ordinary people who like to wear the watch. Yes, Xiaomi Huami Amazfit 2 is not only sports watch, but also a stylish accessory. If the first generation looks like fitness tracker, then new device receive updated design, and now it looks like a real watch. 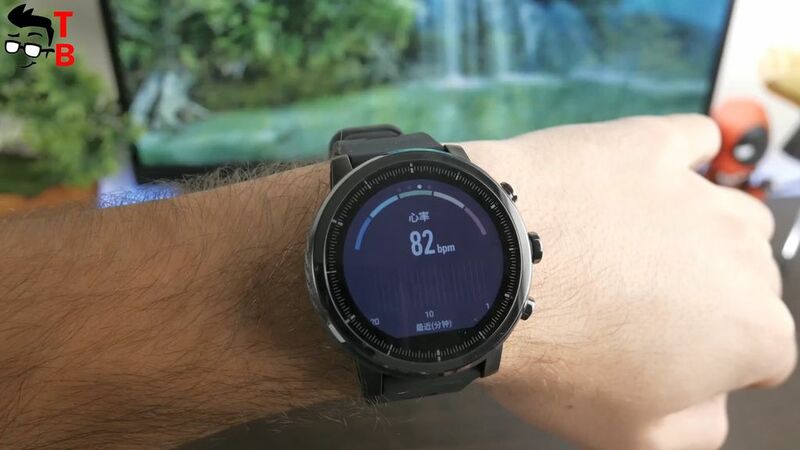 Also, Xiaomi Huami Amazfit 2 received some new features and functions, for example, waterproof protection under 50 meters, different sports modes and up to 5 days of battery life. So, let’s start our review with unboxing. 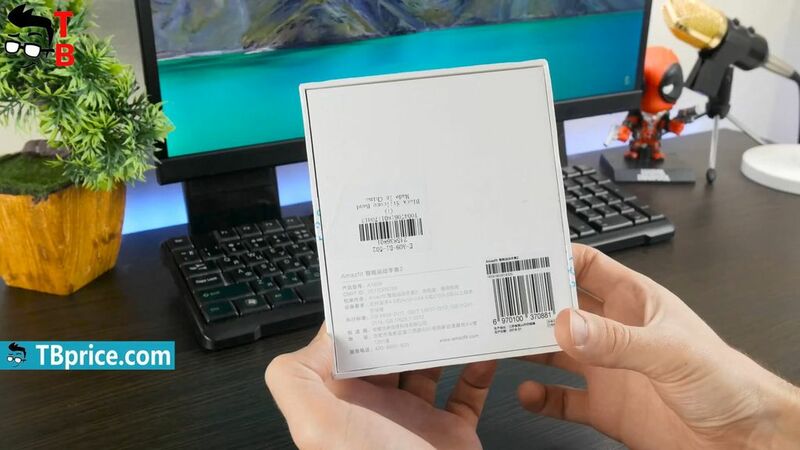 Huami Amazfit Smartwatch 2 comes in a very simple white box. 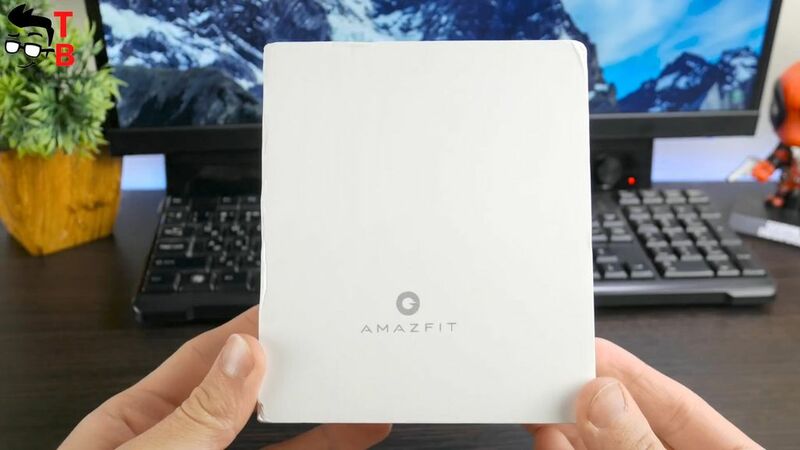 It has Amazfit logo on the front panel, and brief specifications list on the back. 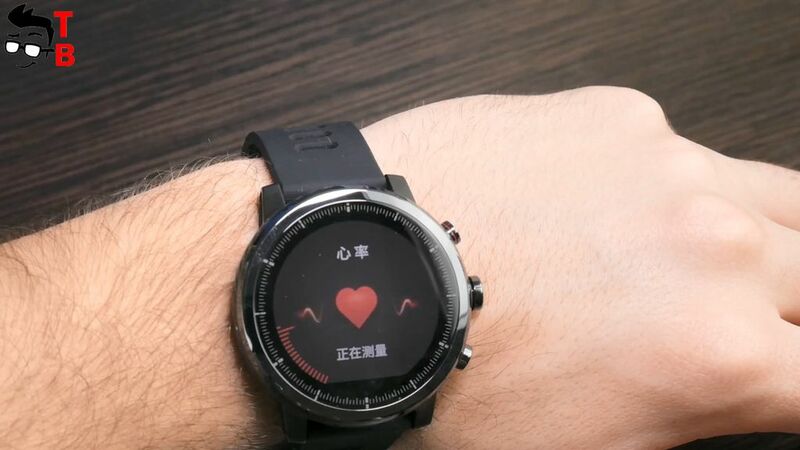 I should note that it is Chinese version of smartwatch, so the inscriptions on box and on display are in Chinese. 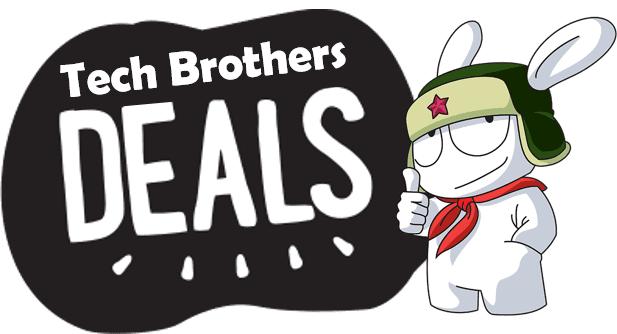 Later you will have an opportunity to install English language, if you already have this watch, or even to buy international version with English by default. We will talk about this a little later. Inside the box, we can see the watch. It has pretty big display. We will return to design a bit later. Let’s see what else is inside the box. Also you can find user manual in Chinese with QR code to download app companion on smartphone. Then there is charging base with power contact. The charging base is magnetic, so you don’t need to use any ports. Just put the watch on the base, and it will be charged. That’s all! The package is very modest. Additionally you can buy protective film on screen or replaceable bands. You can find these accessories by the links in description. Dear friends, when you hold this watch in your hands, you understand why it costs almost $200. Xiaomi Huami Amazfit 2 looks and feels premium. This is not a Chinese watch that is made of plastic, and can break at any moment. 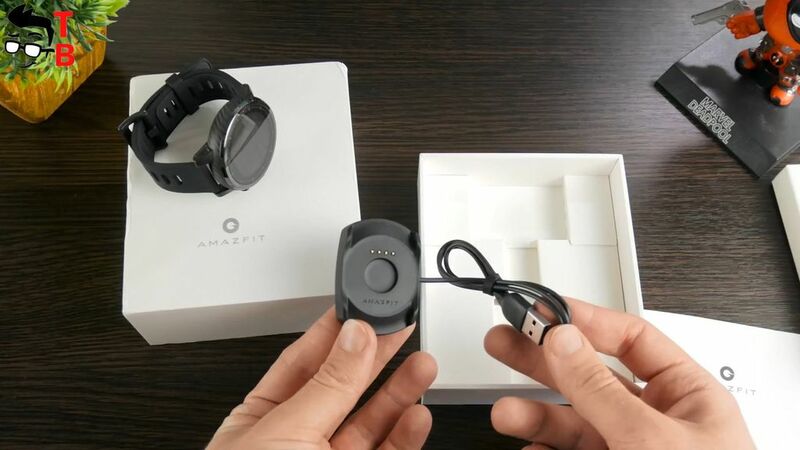 Huami Amazfit 2 is high quality device, which can compete with Apple, Samsung, LG and others watches. On the front panel you can see 1.34 inch display with 320 by 300 pixels. It is covered by 2.5D tempered glass with ceramic frame around for protection from scratches. The watch has transflective display that is perfectly readable in direct sunlight. At the bottom of the display, there is a black strip. It hides the ambient light sensor. The screen is Always ON, and it does not drain the battery. At night or in the dark the watch has screen backlight. The back side is made of plastic (carbon), and it looks great with ceramic on the front. Here you can see heart rate monitor and charging connectors. Xiaomi Huami Amazfit 2 comes with silicone band, but additionally you can buy leather or metal strap. It is removable and replaceable. The strap has 15 levels of adjustment, so the watch can be worn on the wrist of any size. On the right side of the watch, there are three navigation buttons. Of course, you can use touch screen, but it doesn’t work under the water. Also the buttons provide quick access to sports modes, and some other functions. 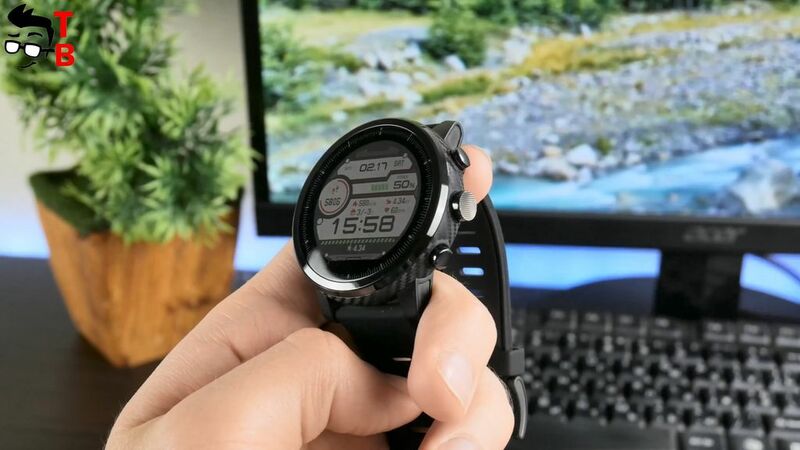 As I already said, Xiaomi Huami Amazfit 2 has waterproof protection by IP57 standard. 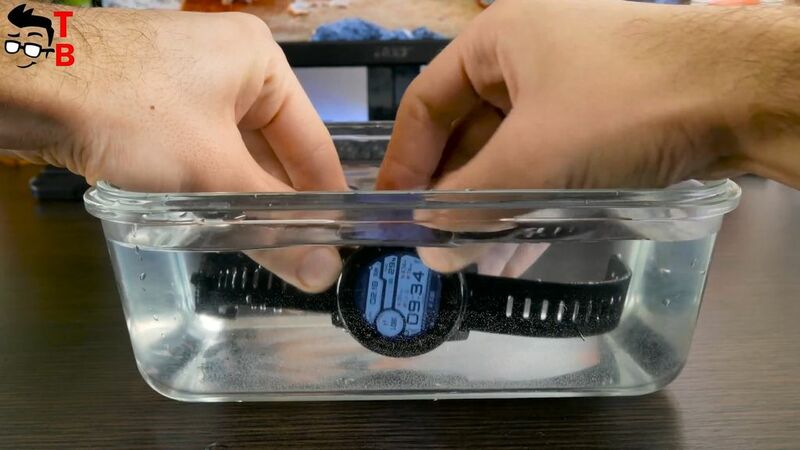 It means that you can use the watch under the water up to 50 meters. 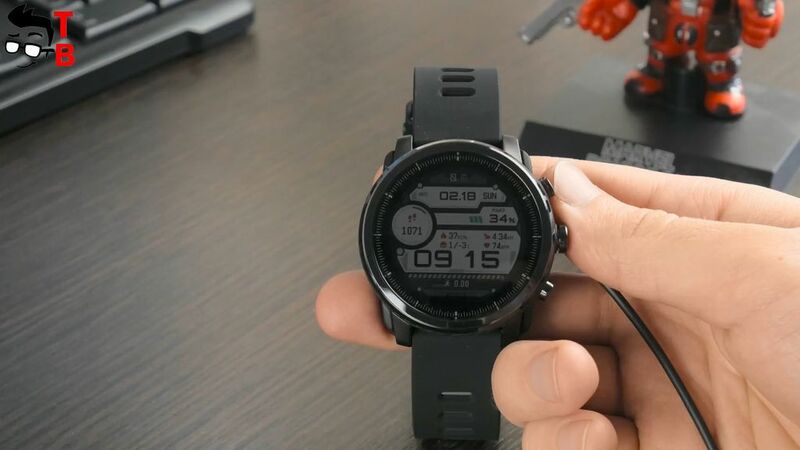 Huami Amazfit 2 has excellent build quality. It looks at 200 dollars, and maybe even more expensive. But what about functions? First, I want to talk about specifications. 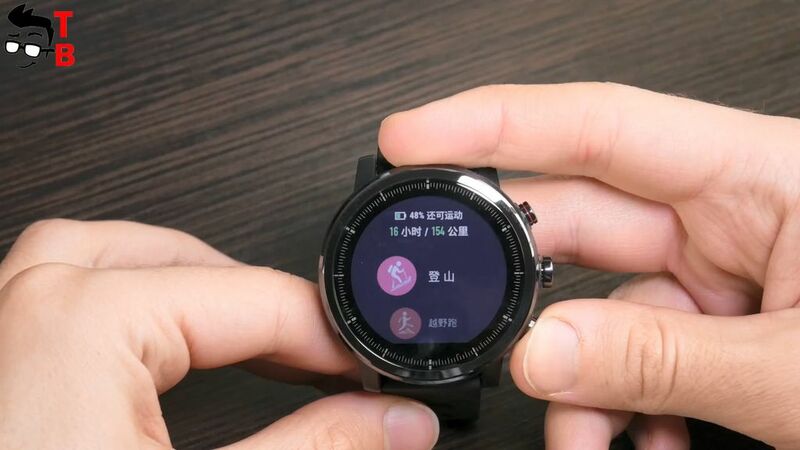 I understand that it is not so important for smartwatch, as for smartphone, but I need to mention it. Xiaomi Huami Amazfit 2 is powered by quad core chipset with clock speed 1.2GHz and 512 MB of RAM. Also the watch has 4GB of built-in memory. It doesn’t support microSD memory cards, and you have about 2.56GB of available free memory to store music, photos, or other data. Four-pin dock station provides not only charging, but also connecting to laptop or computer. Xiaomi Huami Amazfit 2 is equipped with WiFi, Bluetooth 4.0, GPS, ambient light sensor, barometer and optical heart rate sensor. And now the most interesting part – let’s talk about functions of Xiaomi Huami Amazfit 2. When you turn on the watch for the first time, there will be QR code on display to download app on your phone. Also you can download AMAZFIT app from Google Play Store or App Store. 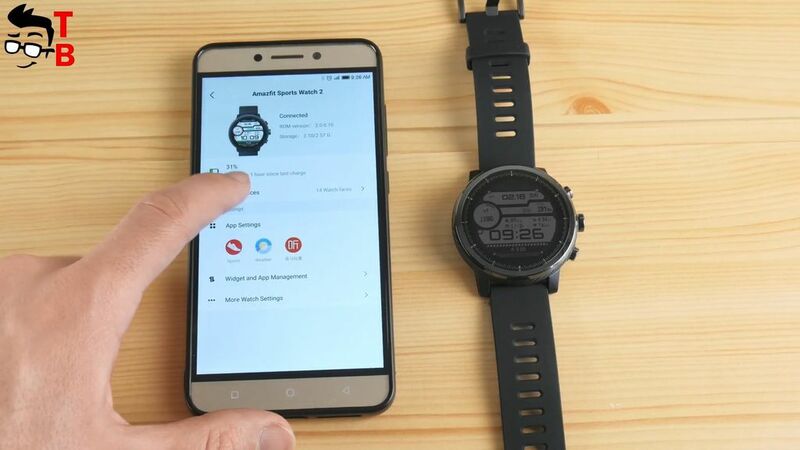 Of course, you can use smartwatch without smartphone, but application on mobile device allows to see the battery level, change watch interfaces, analyze and save data from the watch, such as steps, sleep, heart rate, and sports activities. Also the app offers to choose notifications to display on the screen of watch. You can customize any icons and their order on the screen. By the way, weather settings are configured from the app. In other words, you need an app to use all the features and functions of this watch. 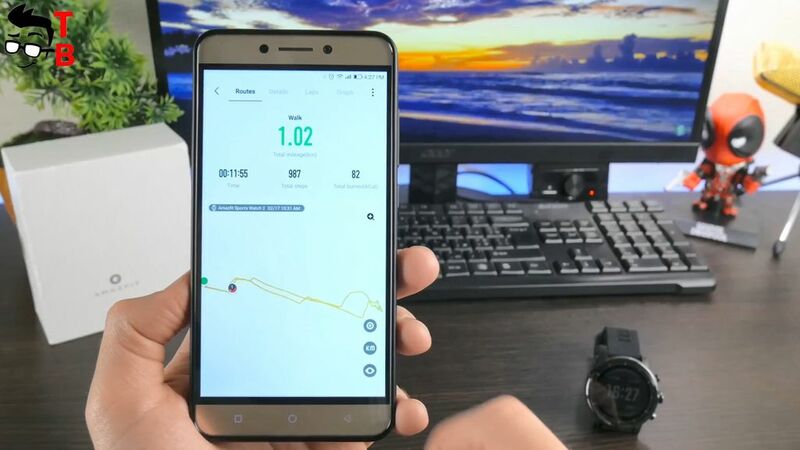 Xiaomi Huami Amazfit 2 automatically recognizes and tracks 11 types of different sports modes, from walking and running to swimming and triathlon. Each of them has its own profile. Depending on mode, the GPS is turned on or off. Just like Mi Band 2, the new smartwatch count steps, burned calories and heart rate. The pedometer is very accurate and shows the result with minimal error. Like many other fitness trackers, Xiaomi Huami Amazfit 2 is equipped with heart rate monitor. It measures the blood flow under the skin, and show you heart rate on the watch or app. You can set up the maximum limit of heart rate, and the watch warm you when it will be exceeded. As for the sleep monitor, it is automatically activated when you fall asleep and wake up. Also, it determines the phases of sleep. It works very accurately, but the watch size is quite big, so it is uncomfortable to sleep with it. Also I want to say some words about GPS. It connects very quickly and finds satellites in seconds. Built in GPS provides more accurate data during running, walking and other physical activities. 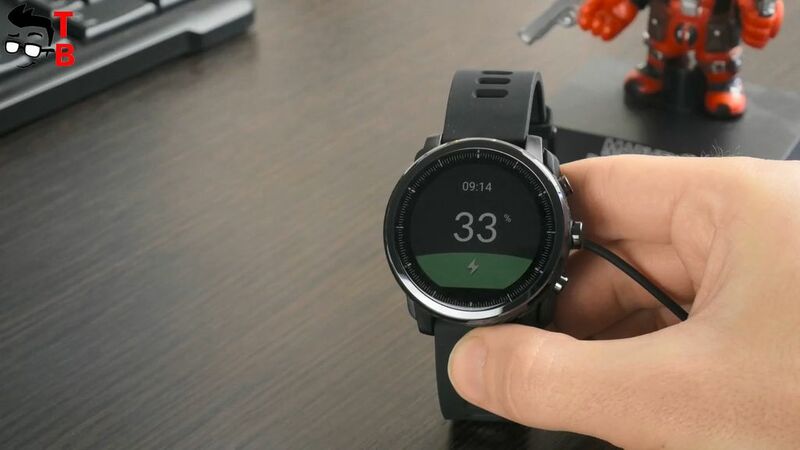 Xiaomi Huami Amazfit 2 has electronic compass, which shows the direction of movement, so it is impossible to get lost in the forest. The integrated barometer shows air pressure and altitude above sea level. By the way, do you remember about build-in memory in the watch? You can use it to store and listen to music during exercise. 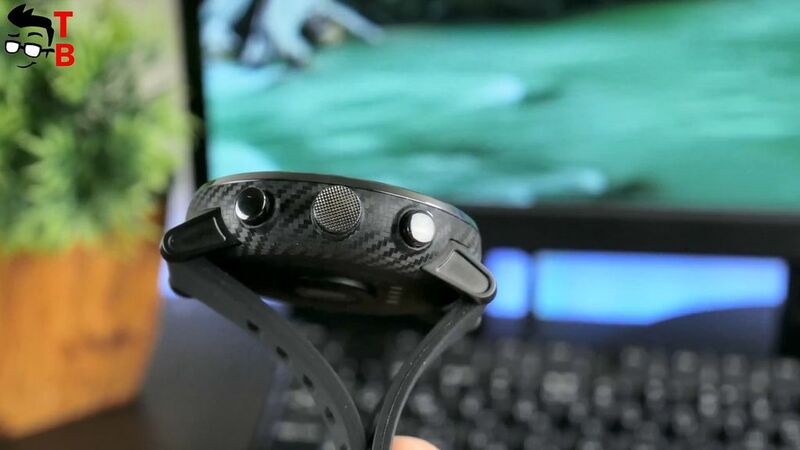 However, you will need Bluetooth headset to connect to the watch, because it doesn’t have 3.5 mm audio jack. Xiaomi Huami Amazfit 2 is equipped with 280mAh battery. The manufacturer says about 5 days of battery life. However, if you are active sportsman, and often use GPS and heart rate sensor, then you should count on 3 days. The full battery charge takes about 2 hours. So, what can I say about Xiaomi Huami Amazfit 2? 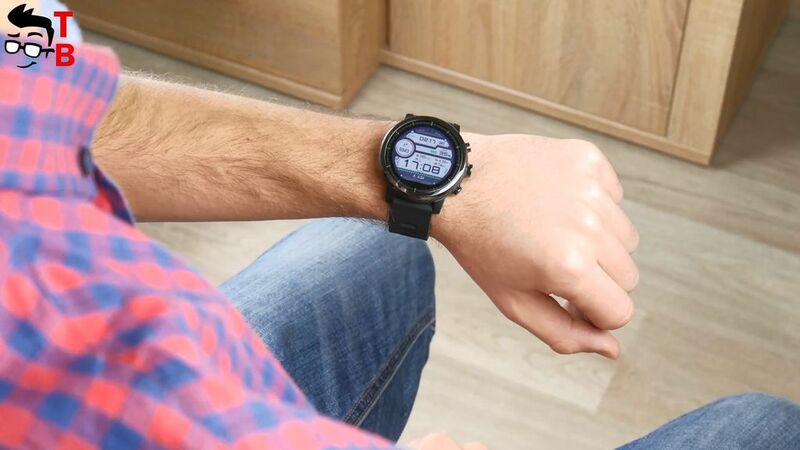 First of all, it is stylish and high built quality smartwatch. Now it doesn’t look like a fitness tracker, but real watch that will be perfect for both business and sports suit. 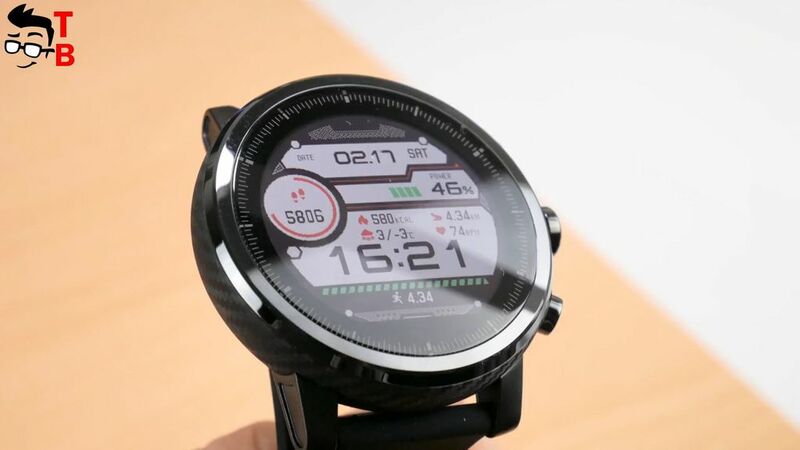 Xiaomi Huami Amazfit 2 has great transflective display, waterproof body, 12 different sports modes, built-in GPS, Wi-Fi, Bluetooth, and many other features. Also I want to note about battery life. 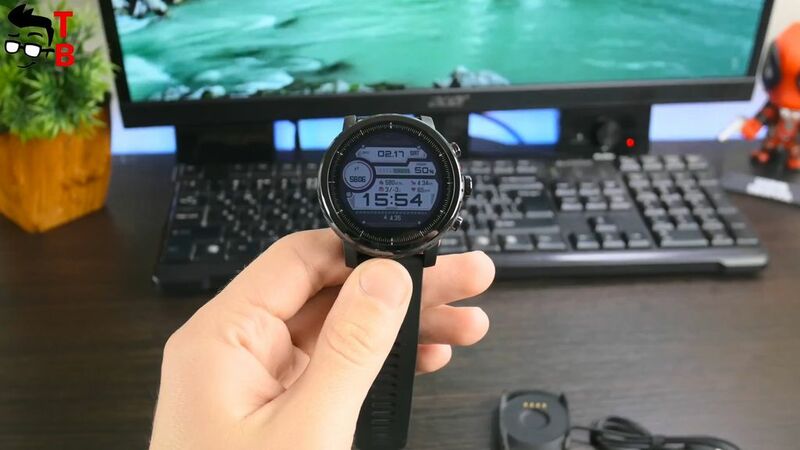 It is really very good for smartwatch. Right now I see only one problem – Chinese language. 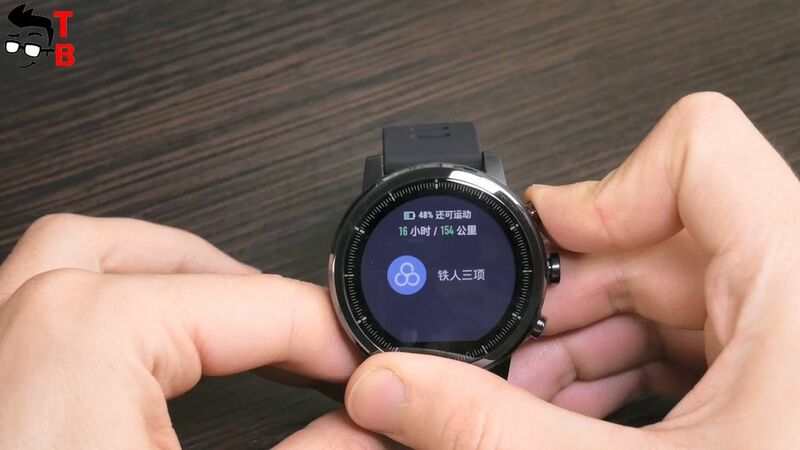 Yes, the application on smartphone is in English, but the icons and functions on the watch screen is in Chinese. You will need to get used to it, and wait for the method how to install English support. You can say that it has very high price. 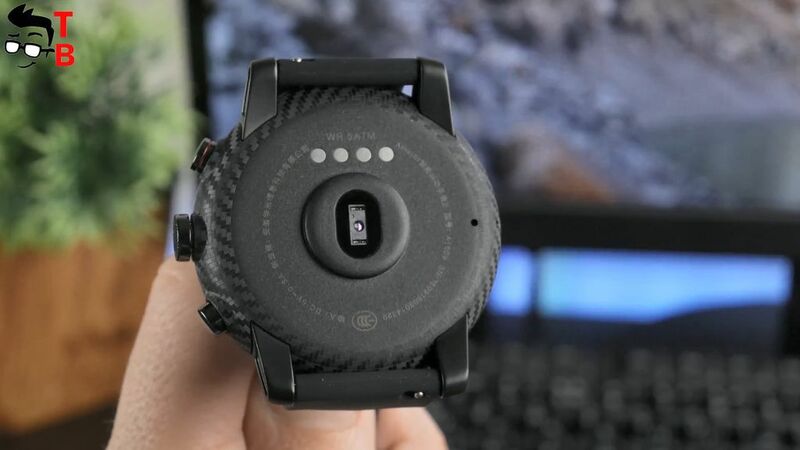 I agree with you, but you should not forget that it is premium smartwatch which can compete Apple Watch, Huawei Watch, LG Watch, Samsung Gear and others. Most of them are twice more expensive. 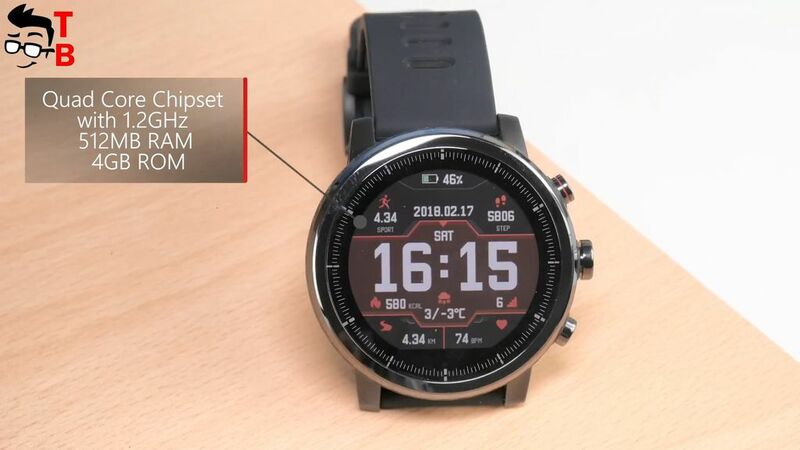 So, Xiaomi Huami Amazfit 2 is definitely good option for those who need the watch with stylish design and different sports functions. I visited multiple web pages but the audio quality for audio songs present at this website is really wonderful.